Creative Fun with a difference, which allows budding Picassos of all ages to participate creating Christmas cards as individual as they are! Our aim is two fold…. allowing children to express their creativity, while raising funds for their Schools, by creating their own unique Christmas Card. This can be incorporated as part of the National Curriculum or can be done as an individual stand alone project at home. The concept and process is simple and easy to do. The children create their own unique masterpiece on A4 paper (see guidelines). Using responsibly sourced paper the image is professionally reproduced into sealed packs of 12, A6 size greeting cards. On the reverse of each card the child’s name and School is printed, making a great keepsake for family and friends. In order to make the cards even more personal, we can print your own unique greeting at no extra charge. 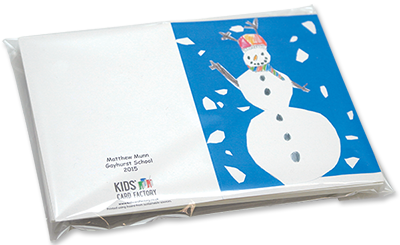 The image can also be added to gift tags creating additional fundraising for your School. 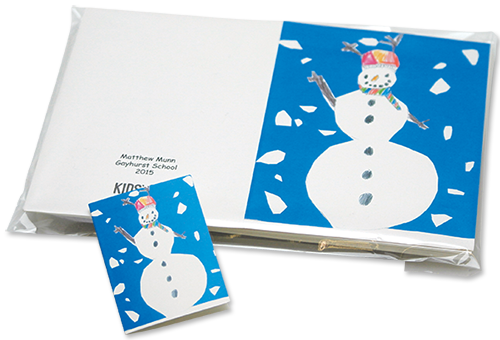 Email info@kidscardfactory.co.uk for a brochure and samples. The Kids Card Factory was set up over a decade ago by a dedicated team of print professionals. As parents we have been involved in raising funds to assist our children’s Schools to purchase equipment and improve their facilities. The experience gave us a clear understanding of the trials and tribulations of the fundraising process, and a deep admiration for the dedicated parents who partake in it. As our children have grown and developed it has been heart-warming and inspirational to see their creativity surface. We have taken great pleasure in watching them having enormous fun painting, drawing and participating in all sorts of arts and crafts. The enjoyment they get from being so creative is only matched by their pride when the results are shown to others, whether at a School open day or just stuck on the fridge door. Taking part in a Kids’ Card Factory School Christmas Card Project brings these two elements together. At the Kids Card Factory we take great pride in our personal customer service, from producing cards for a small Nursery to Junior Schools, all our customers are just as important… Each year our business has grown by recommendation. 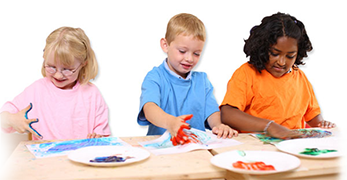 We have assisted Schools all over England, Scotland, Wales & Northern Ireland. All cards printed in packs of 12 A6 size, cellophane wrapped with envelopes. The School will receive £1 for every pack of cards Sold. Additional same image products available to enhance fundraising. All-inclusive project, children of all faiths or none can participate with alternative theme and unique message. Thank you so much for our fantastic Christmas Cards, Gift Tags and Mugs. I’m really impressed, they look great! Ruby is really proud of her artwork and they make a lovely keepsake.